Peel, deseed, and chop 1 butternut. I like to use a grapefruit spoon to make it easy to scrape out the seeds. 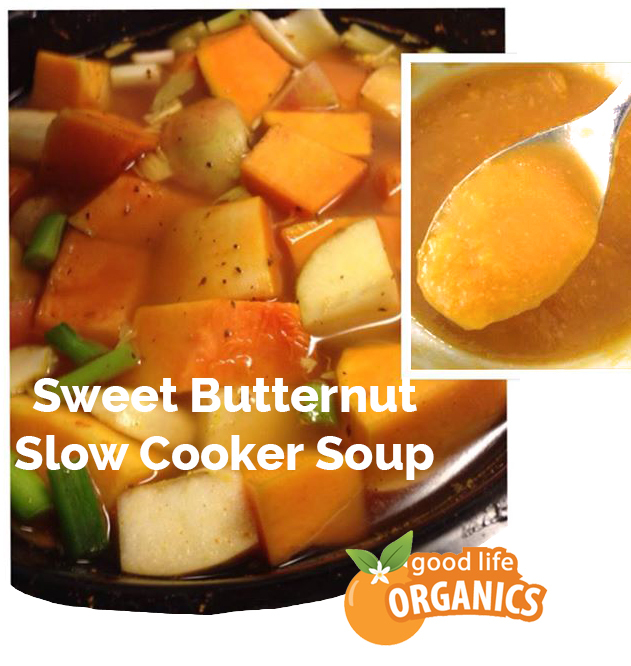 Combine squash in slow cooker with apples, celery, 1 qt veggie broth and a couple stalks of green onions and whole garlic cloves. Add the juice of one orange and add any additional water to make sure the liquid is just above the veggies.